Bundaberg is getting some extra money from the Queensland state government to back local startups hoping to improve tourism in the region through cryptocurrency. The town of Bundaberg, Queensland Australia has caught the eye of the state government recently after it received a sizeable grant of AUD$8,300,000 spread across 70 companies local to the area. Most notably, the company TravelbyBit received AUD$100,000 with the goal being to expand their operations. TravelbyBit is a digital Point-of-Sale (PoS) in the region with their payments app in use in over 30 local businesses, meaning local tourists and merchants alike can easily exchange tokens using their cryptocurrency system. 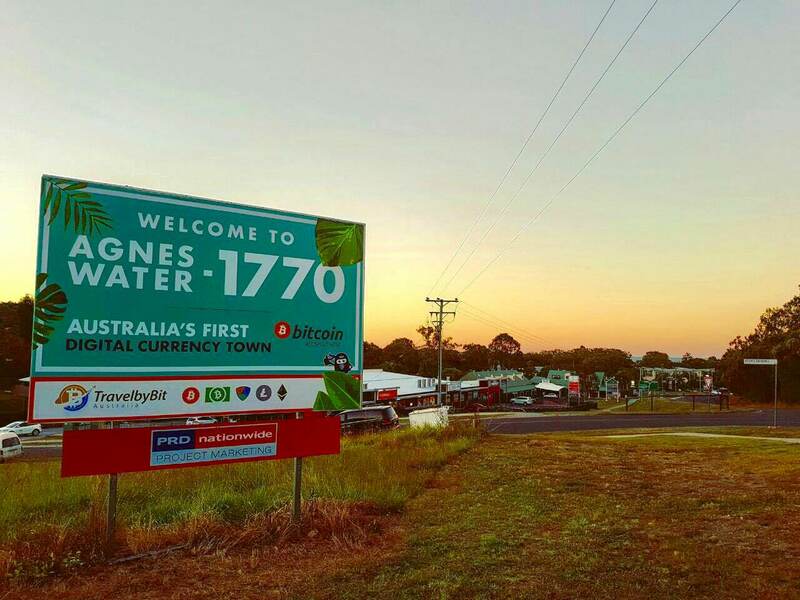 They are not hiding this fact - the towns entrance sign dubs it proudly as ‘Australia's first digital currency town’ with a bitcoin logo, and other cryptocurrencies, shown alongside it. TravelbyBits PoS system is currently in use by over 150 merchants throughout the country, and accepts cryptocurrencies such as Bitcoin, Ethereum Litecoin and Dash - there is no doubt that this grant will go a long way to increasing that number of merchants and cryptocurrencies even more. In fact, it was said that they will soon add support for Binance Coin (BNB), the exchanges unique token. Things are looking quite exciting for this small town, serving around 70,000 residents, thanks to their local government funding many companies should soon start to accept digital currency at many outlets, not to mention an airport for tourists to access.